While I know most of the students at our university will have been busy preoccupied with a wide range of activities this semester, some of us have been given the chance to contemplate how all of it must end one day. 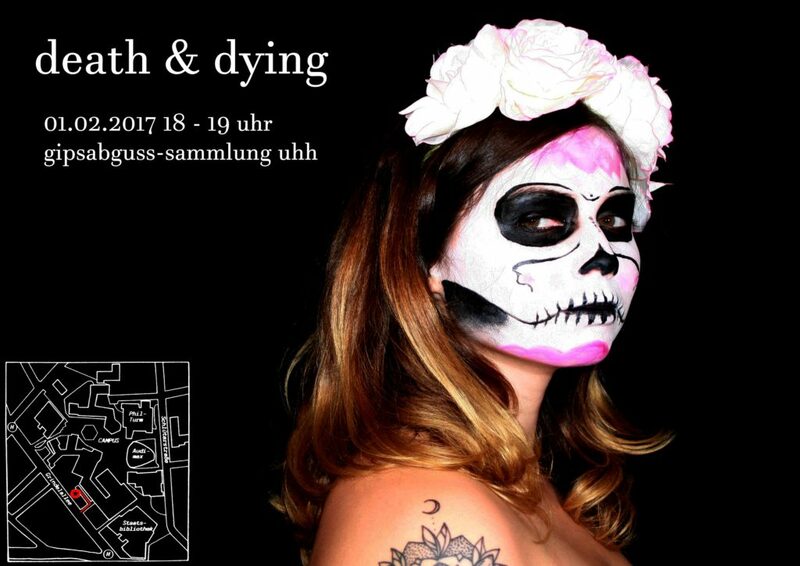 Our credits for a seminar on Death and Disease in British Culture are dearly bought, since all participants were required not only to talk about death, but also to creatively engage with their own transience. On the slightly brighter side, this produced so much artwork that it will now be exhibited on site, namely in a half-forgotten storage room for ancient Greek and Roman marble statue replicas. Personally, I had no idea the university even possessed so many statues, and they give such an eerie ring to the place that it might make for a worthwhile visit all on its own. So if you fancy terminating this semester with an extra flourish of finality, make sure to stop by!